Here’s a fun comic for the kids. 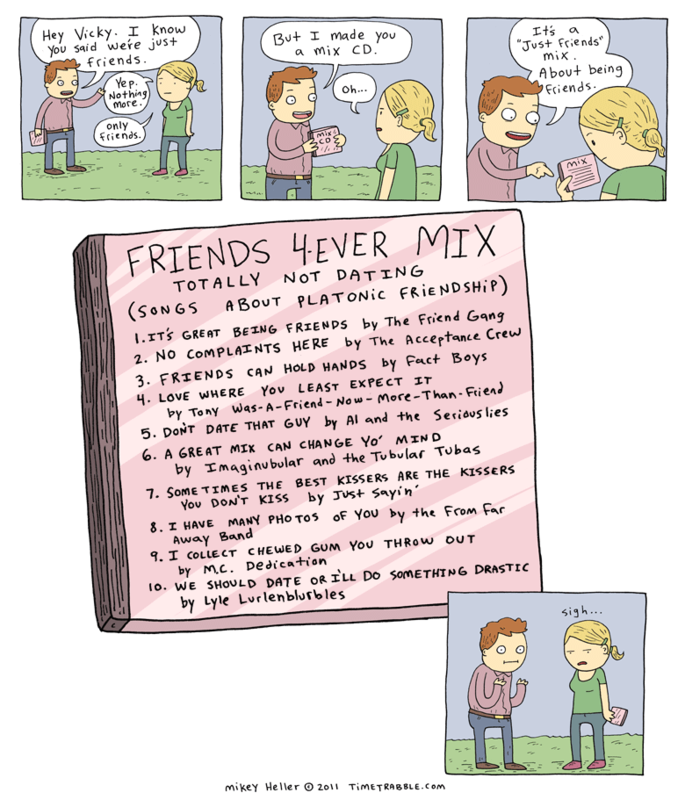 Mix CD’s are pretty funny, right guys? There is no end to the comedy. No end in sight. There should be another new comic this Friday. In fact, I’m scanning it right now! While I never gave someone a mix cd, I think I might have imagined a whole case of them in a box labeled “unrequited love” somewhere in the back of my head. Oh, and that guy’s expression in the last panel, well-captured. Any bonus tracks on that jam? !